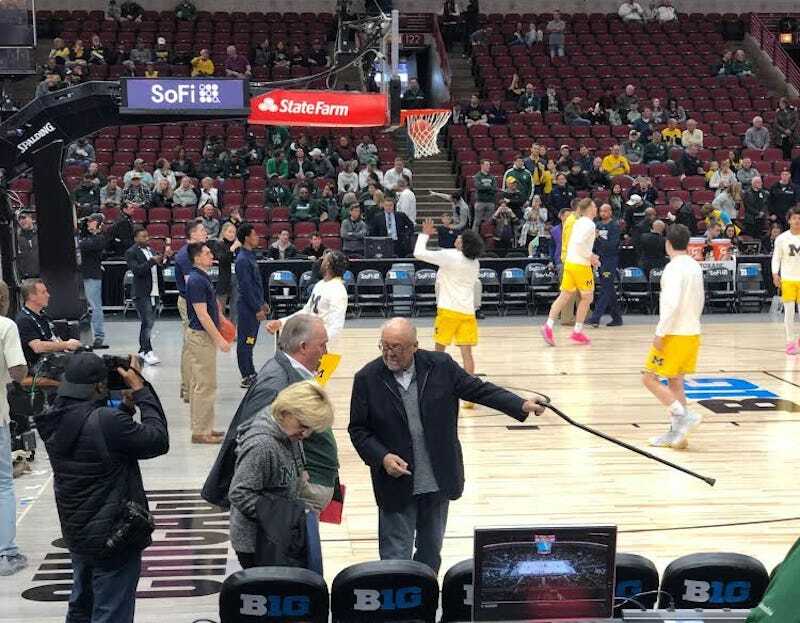 John Engler, Michigan State’s former interim president who had to resign in disgrace because he was so repulsive and incompetent at filling in for his repulsive and incompetent predecessor Lou Anna Simon (who had also resigned in disgrace), still somehow isn’t toxic enough to not get courtside treatment at Michigan State men’s basketball games. A tipster who wished to remain anonymous passed along these photos of Engler getting to his seat at Sunday’s Big Ten title game in Chicago. If there’s anyone who deserves an egg to the back of the head, it’s this goon. Know any more? Drop a line at tips@deadspin.com. Interim MSU President John Engler Says Larry Nassar&apos;s Victims Are Having A Blast In The "Spotlight"